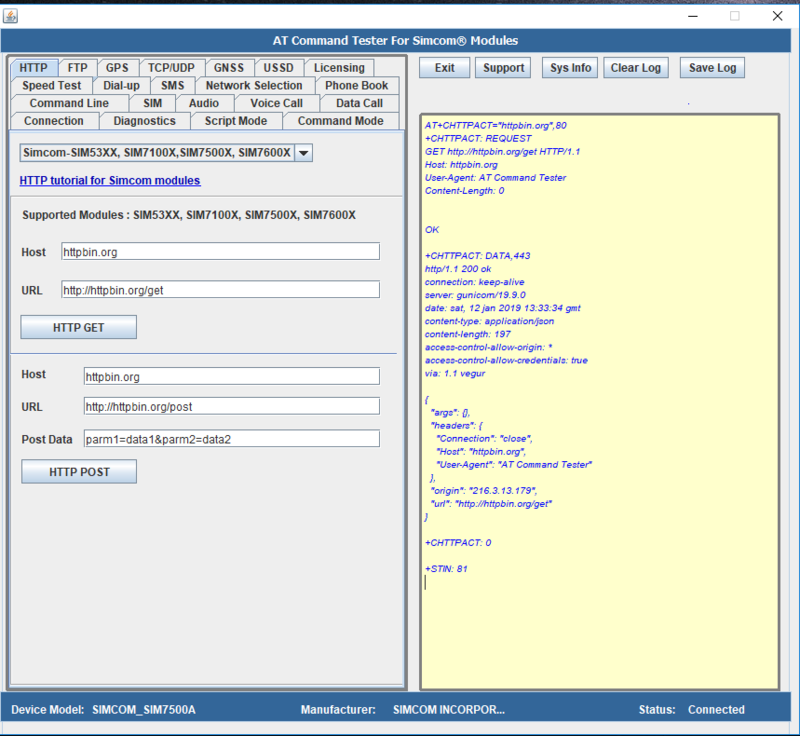 AT+CHTTPACT command is used to launch the HTTP operation. This command is supported on SIM53XX, SIM7500X and SIM7600X Simom modules. Keywords AT+CHTTPACT syntax, examples, parameters, error, input, response. 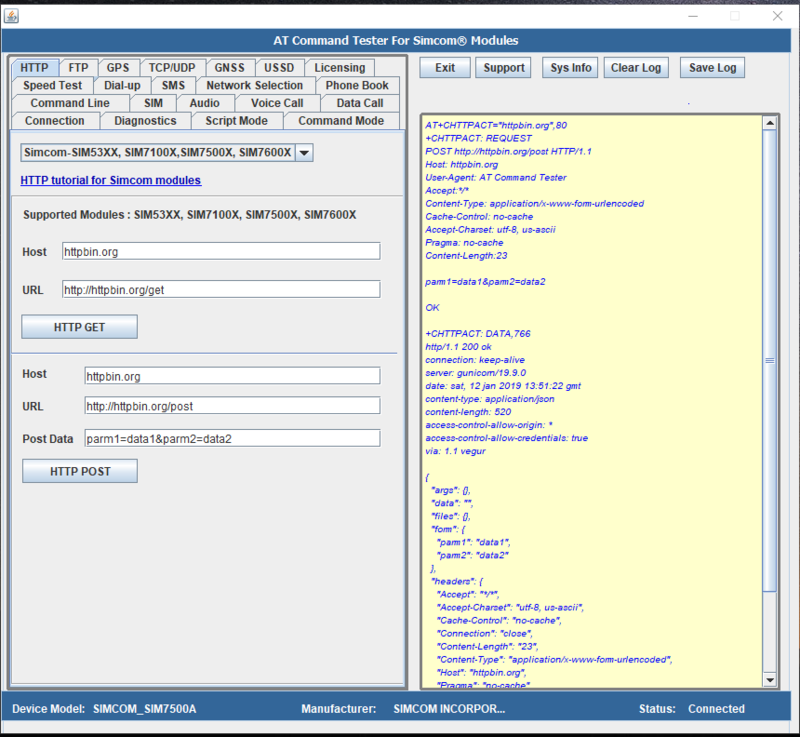 With Online AT Command Tester tool, you can test Simcom HTTP feature. Using the tool to test HTTP GET with your module. Using the tool, test the HTTP POST feature. 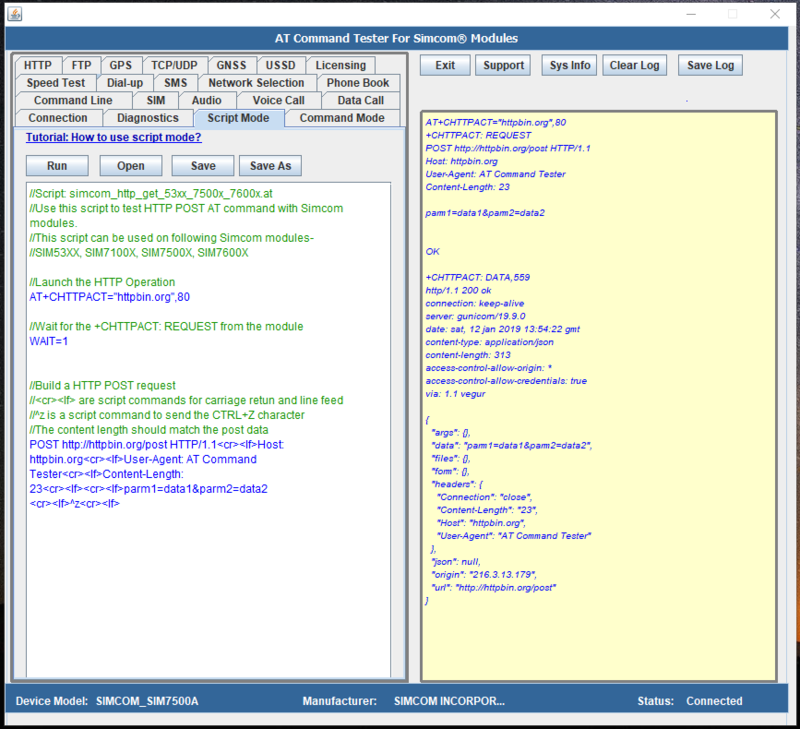 //Use this script to test HTTP POST AT command with Simcom modules. 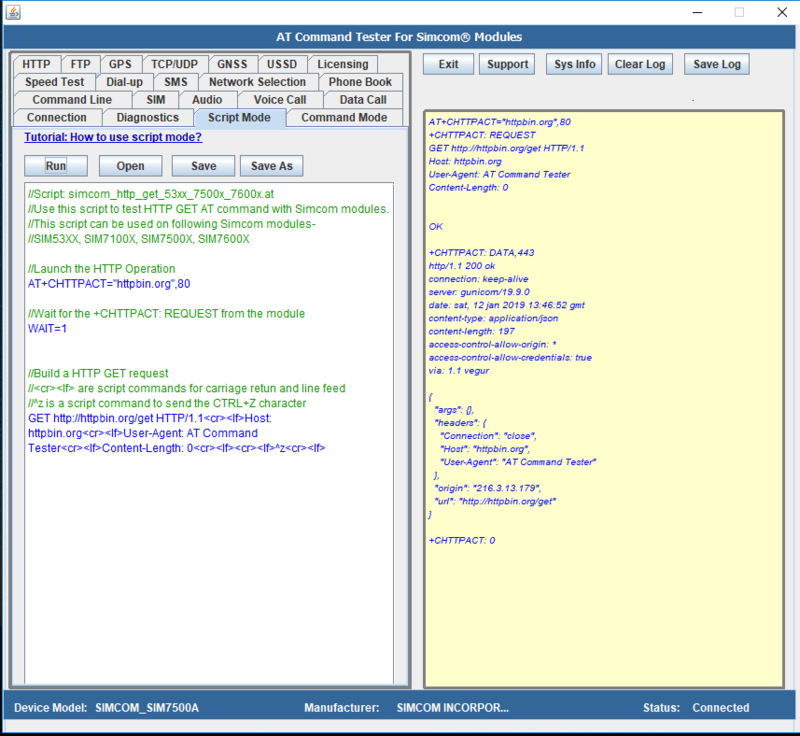 Output of above script in AT Command Tester Tool.